Mian Altaf M. Saleem joined Shakarganj in 1973, during the establishment of our first sugar factory. First working under the able guidance of our first Chief Executive Officer, Haji Muhammad Shafi, and later succeeding him as CEO in November 1978, Mian Altaf M. Saleem oversaw the transformation of Shakarganj from a minor player in the sugar industry to a major industrial conglomerate, one of the top companies in the stock exchange, and a household name in Pakistan. Mian Altaf M. Saleem led Shakarganj for over 21 years, during which the Company expanded into the production of Biofuels, Building Materials, and Textiles as well as becoming one of the first Sugar Mills to supply power to the national grid through co-generation. During this period, Mian Altaf M. Saleem also served in several key positions outside of Shakarganj, including three terms as Chairman of the Pakistan Sugar Mills Association and as Honorary Consul General of Canada. Mian Altaf M. Saleem retired as Chief Executive Officer when invited to lead the Privatisation programme of the Government of Pakistan in 1999. As the Federal Minister for Privatisation, Mian Altaf M. Saleem was a member of the Federal Government’s Economic Management Team and served on important cabinet committees such as the Economic Coordination Committee, and Cabinet Committees on Housing, Investment, Privatization and Revenue. He also chaired the Joint Ministerial Commissions with Azerbaijan, Kazakhstan, and Tunisia. As in the Private Sector, Mian Altaf M. Saleem excelled in Government service and upon completion of his term as Federal Minister for Privatization in 2002, he was nominated by the Federal Government to Chair the Boards of Directors of the Sui Northern Gas Pipelines Limited (SNGPL) and the Pakistan Industrial Credit and Investment Corporation (PICIC). 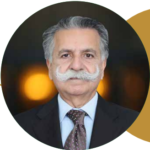 Mian Altaf M. Saleem has made extensive contributions to the promotion of education in Pakistan and is a founder Governor of the National Management Foundation, the sponsoring body of the Lahore University of Management Sciences. Mian Altaf M. Saleem also serves as Trustee and Secretary of the Crescent Educational Trust, the governing body of the Crescent School, which is the most well reputed non profit educational institution in Lahore. In previous years, Mian Altaf M. Saleem has also served on the Boards of Governors of the Indus Valley School of Art and Architecture, the National School of Public Policy, and the Sandal College. He also served as Chairman of LEAD Pakistan, which is an independent policy think tank that focuses on policy research, public policy engagement, and leadership development in the public, private and not-for-profit sectors. Provision of affordable healthcare to all segments of society is one of Mian Altaf M. Saleem’s strong personal convictions and an area where he is especially active. Mian Altaf M. Saleem has served as Chairman of the Pakistan Red Crescent Society – Punjab in the past and continues to serve on the Board of Trustees of Mian Muhammad Trust, ranked the Best Trust Hospital in Faisalabad, and the Businessmen Hospital Trust which runs the Shalamar Institute of Health Sciences. Mian Altaf M. Saleem takes a keen interest Nature Conservation and has in the past served as President of the World Wide Fund for Nature – Pakistan as well as a Trustee of WWF International, Switzerland. In recognition of his wide array of philanthropic efforts, the Federal Government once again invited Mian Altaf M. Saleem to serve as Federal Minister in 2005, this time in the capacity of Chairman of the Earthquake Reconstruction and Rehabilitation Authority (ERRA), the government body established in 2005 to undertake relief and rebuilding efforts after the biggest natural disaster in Pakistan’s history. The performance of ERRA under Chairmanship of Mian Altaf M. Saleem received widespread appreciation internationally for the pace, quality, and transparency of the reconstruction and rehabilitation work. In 2006, the President of Pakistan conferred the Sitara-i-Eisaar on Mian Altaf M. Saleem in recognition of his selfless and outstanding humanitarian services. While serving as Chairman of ERRA, Mian Altaf M. Saleem also accepted the additional responsibility of Chairman of the National Vocational and Technical Education Commission (NAVTEC). This Federal Minister level position required leading this newly established governmental body to accomplish the tasks of easing, regulating, and providing policy direction for skills development in Pakistan. The Shakarganj family continues to benefit from the wisdom and experience of Mian Altaf M. Saleem by virtue of his position as the Chairman of the Board of Governors of the Shakarganj Sugar Research Institute where his valuable advice is always relevant and beneficial not only to the Company but also to the community as a whole. Similarly, our wider community continues to reap the benefits of Mian Altaf M. Saleem’s generous philanthropic efforts as the founding Chairman of the Shakarganj Foundation where his personal contributions and those of his vast and extensive networks are pivotal in bringing positive changes to thousands of families in the Jhang district in general, and in our geographic area in particular. On the eve of its Golden Jubilee, Shakarganj pays a special tribute and many thanks to the personality behind its success, Mian Altaf M. Saleem and recognises him as a role model for all the times to come.